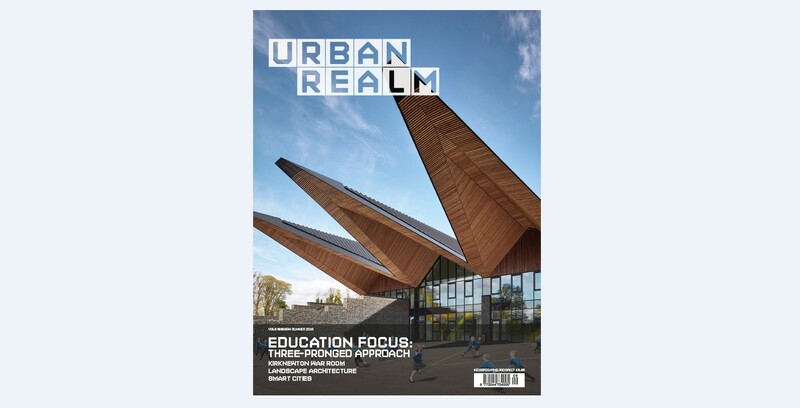 With schools still out for what looks like a long hot summer now is the perfect time to reflect on the standard of education provision, prompting Urban Realm to take a closer look at a number of schools which each push the envelope in their own way for our summer edition. At Bouroughmuir High School we look at the implications of a constrained site on the development of a vertical solution, but is this enough to reach new heights? Constraints of a budgetary kind can be found at West Calder but can its architects do more with less? Wrapping things up Keri Monaghan at Stallan-Brand talks us through the practices own work in the Scottish Borders, led by Broomlands Primary. Stepping away from the classroom we again venture into the great outdoors with our landscape report. 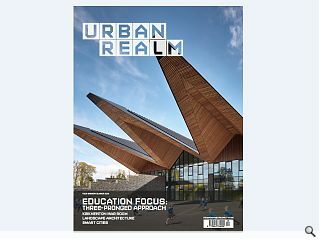 Here we investigate everything from garden cities to the impact of new technology on our surroundings. If you’re looking to escape the heat then come with us down into the bowels of Kirknewton War Room, a Cold War relic which is sadly no longer with us but lives on in the form of a sister bunker in Cambridge. Sean Kinnear bravely ventures inside. Elsewhere we catch a ferry to Campbeltown to see how a revitalised Picture House is putting the Kintyre Peninsula on the map for holidaymakers. Mark Chalmers also soaks up the sun within the Front Range Glass Houses at the Royal Botanic Garden in Edinburgh, an overlooked example of early High Tech tensile structures. Subscribe today for your own refreshment.